Thanks to your feedback, Swimia has become in just several months one essentially the most significant websites of swimming pools. 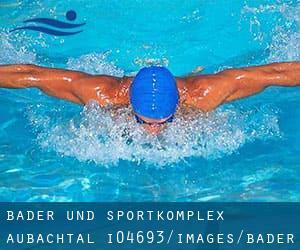 Here you have got all the info we know about Bäder- und Sportkomplex Aubachtal, in Greiz. Don't forget you can also promote this pool so Bäder- und Sportkomplex Aubachtal will appear the first of Greiz, or even the very first of your country, get in touch with us to know extra. Swimmers like you reported 25 meters x 10 meters, 4 lanes, 1.9 meters depth, 1.9 meters depth, Indoors. Phone number and e-mail address are number for this Swimming Pool. Updated on 2019 Hohe Straße 7 , Eisenberg , GERMANY (Postal Code: 07607). Among all the activities offered by the center, should you be interested in swimming you may enjoy 25 meters, 5 lanes, Indoors. Just in case you want to contact this Swimming Pool before dropping by, we only know the phone number. Updated on 2019 Schwimmbadweg 10 , Tabarz , GERMANY (Postal Code: 99891). Swimmers like you reported 25 meters, 4 lanes, Indoors. Phone number and e-mail address are number for this Pool. Updated on 2019 Johann-Sebastian-Bach Straße 4 , Erfurt , GERMANY (Postal Code: 99096). This sports center offers Olympic size, 8 lanes, 1.8 meters depth, 1.8 meters depth, Indoors. For this Swimming Pool, only phone number is number here. Updated on 2019 Kelzstraße 29 , Saalfeld , GERMANY (Postal Code: 07318). This sports center delivers 25 meters, 5 lanes, Indoors. Contact information and facts for this Swimming Pool including phone number and e-mail address are number. Updated on 2019 Leutloffstraße 1a , Apolda , GERMANY (Postal Code: 99510). This sports center delivers 25 meters x 12.5 meters, Indoors. For this Swimming Pool, only phone number is number here. Updated on 2019 Hermann-Brill-Platz 2 , Weimar , GERMANY (Postal Code: 99423). Among all the activities supplied by the center, if you're considering swimming you can delight in 25 meters, 5 lanes, 1.8 meters depth, 1.8 meters depth, Indoors. Just in case you need to contact this Pool before dropping by, we only know the phone number. Updated on 2019 In der Leineaue 1 , Heilbad Heiligenstadt , GERMANY (Postal Code: 37308). Among all the activities offered by the center, if you are keen on swimming you may enjoy 25 meters, 4 lanes, Indoors. If you have to contact this Swimming Pool, e-mail address and phone number are both number. Updated on 2019 Marktstraße 3 , Neuhaus am Rennweg , GERMANY (Postal Code: 98724). Among all the activities provided by the center, if you are considering swimming you might appreciate 25 meters, 4 lanes, Indoors. If you need to contact this Swimming Pool, email address and phone number are both number. Updated on 2019 Friedrich-König-Straße 7 , Suhl , GERMANY (Postal Code: 98527). This sports center offers Olympic size, Indoors. Contact information for this Swimming Pool which include phone number and e-mail address are number. Updated on 2019 Hofwiesenpark 2 , Gera , GERMANY (Postal Code: 7548). This sports center delivers Olympic size x 20 meters, 8 lanes, 1.8 meters depth, 1.8 meters depth, Indoors. Contact info for this Pool which include phone number and email address are number. Updated on 2019 Karl-Schwarz-Straße 12 , Gotha , GERMANY (Postal Code: 99867). Among all of the activities offered by the center, when you are considering swimming you'll take pleasure in 25 meters, 5 lanes, Indoors. If you might want to contact this Swimming Pool, e-mail address and phone number are both number. Updated on 2019 Am Bad 1 , Brotterode , GERMANY (Postal Code: 98599). This sports center delivers 25 meters, 4 lanes, Indoors. Contact data for this Swimming Pool for example phone number and email address are number. Updated on 2019 Lindenbühl 10 , Muehlhausen , GERMANY (Postal Code: 99974). This sports center offers 35 meters x 12.5 meters, 5 lanes, Indoors. Contact facts for this Pool similar to phone number and e-mail address are number. Updated on 2019 Rohrer Stirn 1 , Meiningen , GERMANY. Swimmers like you reported 25 meters, 5 lanes, 1.8 meters depth, 1.8 meters depth, Indoors. Unfortunately we do not have the email address of this Swimming Pool, but we can give you the phone number.